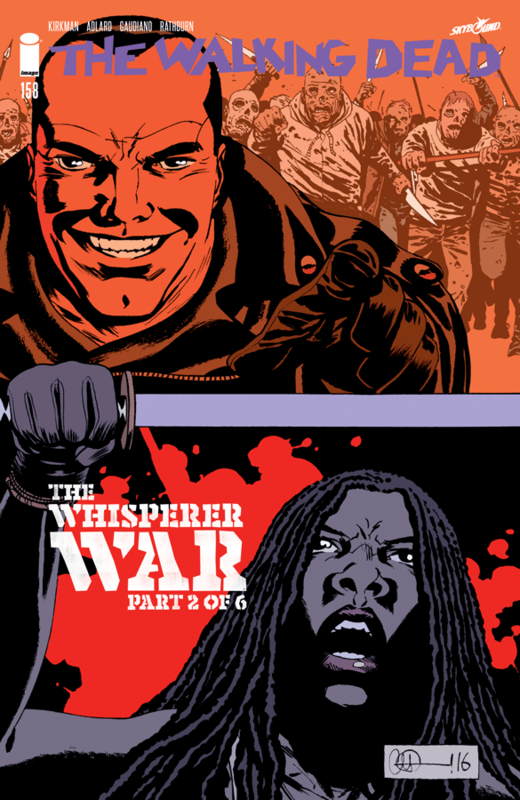 In the wake of Negan’s long-awaited debut in the Season Six finale of The Walking Dead TV series, it’s perhaps no surprise that the characters role in the Image Comics series now takes centre stage once more. Yes, after his long incarceration in Alexandria after the events of All Out War, Negan is free at last! After Rick rallied the people of Alexandria to face the threat posed by the sinister Walker-Skin wearing Whisperers in the series’ landmark 150th issue, Rick and Dwight started training a new Alexandrian military force to fight the Whisperers, along with a new recruit – Father Gabriel. Michonne is now set to become the next leader of the Kingdom, and Eugene has managed to make contact with an unknown group via his radio experiment. 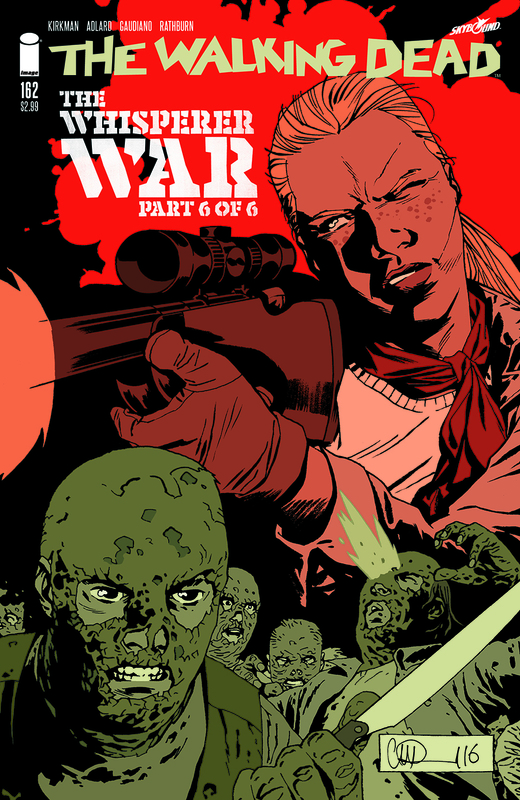 This issue of The Walking Dead really gives the series a new sense of momentum. 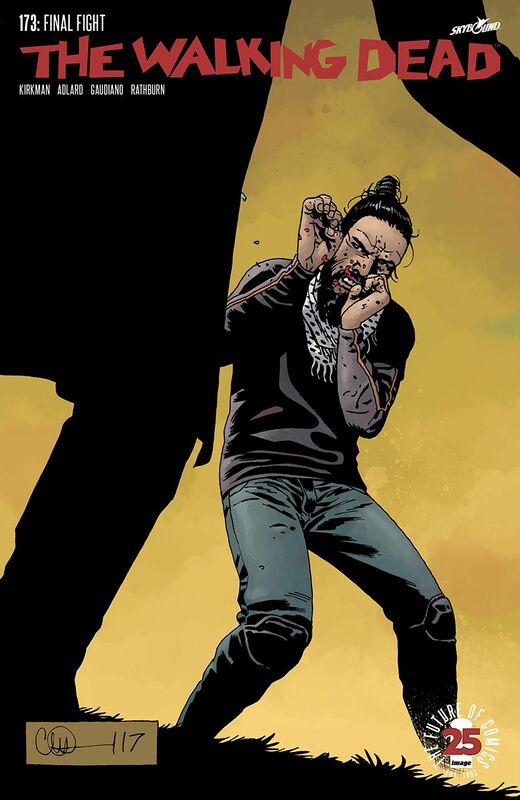 Right from the opening moments, where Negan dons his jacket once more, Robert Kirkman skilfully builds the tension as Rick faces the prospect that his old enemy is out there somewhere plotting his downfall. The scenes with Negan and Brandon are some of the issues finest moments, Negan is at his foul-mouthed best, its great to see the character taking such a prominent role again, and Brandon’s plan certainly points him in the right direction for revenge against Rick and Alexandria. Rick and Michonne soon figure out that Negan and must have snuck out with Maggie’s group as they left Alexandria to return to the Hilltop. 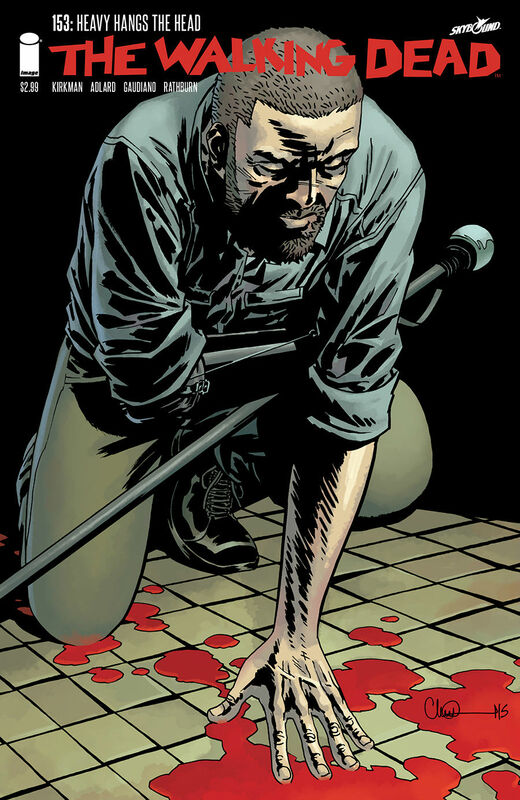 But, while Aaron and Michonne go looking for Negan, tensions run high at Alexandria, a near fatal mistake by one of the Alexandrians causes Rick to question his recent actions, and the price his community might pay for the intense methods he’s used to prepare them for war against the Whisperers. Dwight also gets some great moments while training a group of Alexandrians. Since renouncing his leadership of the Saviors to work alongside Rick, Dwight has really come into his own as a reformed character now, and we also get to understand his reasons for brining the Lucille with him after he uses the notorious baseball bat to dispatch some Walkers after his team get caught off guard while training in the woods. 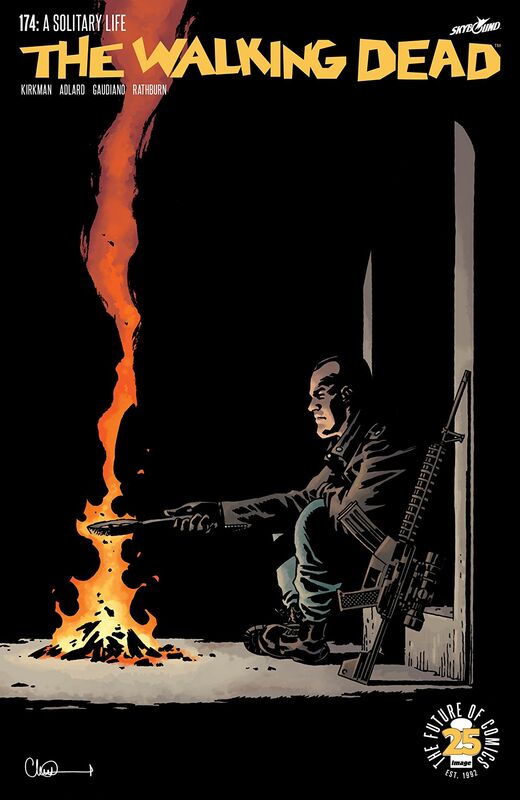 The Walking Dead #153 features some great artwork by Charlie Adlard, the brooding menace caused by Negan’s escape seems to permeate though every scene, and we are left in no doubt just how serious the situation is becoming. 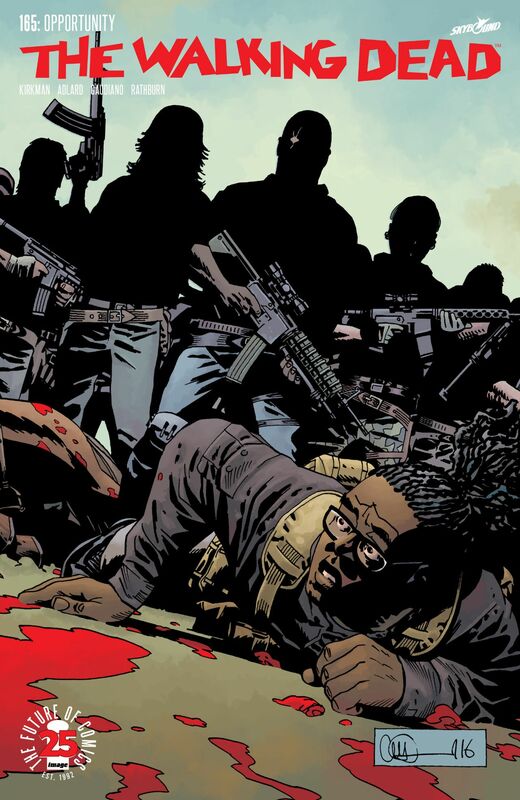 Adlard realizes several different characters and locations throughout this issue, with Stefano Gaudiano’s inks and Cliff Rathburn’s grey tones giving each scene its own distinctive look and atmosphere. Negan looks every bit the series’ big bad, all he needs now is a certain baseball bat to complete the look! 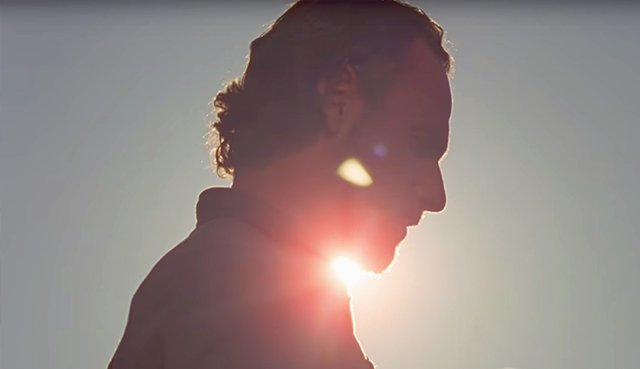 There’s also some great zombie action when Dwight and his team come under attack, but it is the scene where Rick questions Paul that is probably one of this issues – if not this arcs – most defining moments. Although the newer characters introduced since All Out War still need some pretty major development to make them anywhere even half as interesting as the comic book series’ major characters, this issue feels very much like a step in the right direction to accomplishing just that. 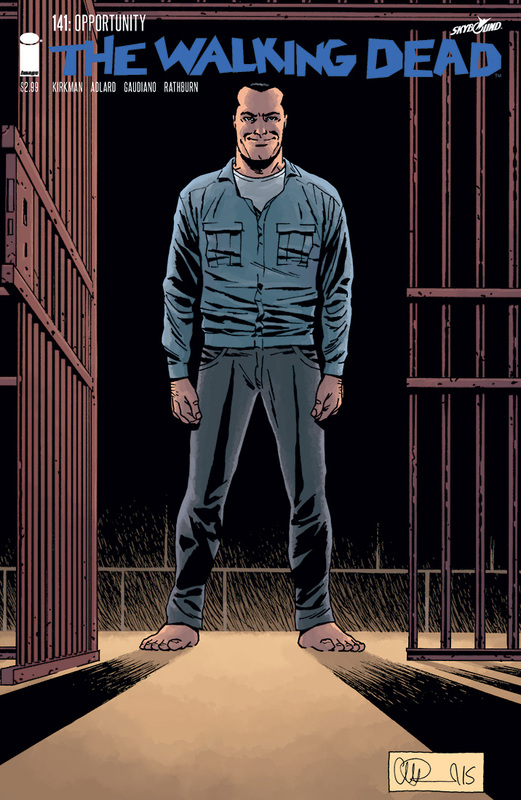 Negan’s escape is another great move on Kirkman’s part, it’s certainly sure to shake up the new status quo, and spell big trouble for Rick and his friends. 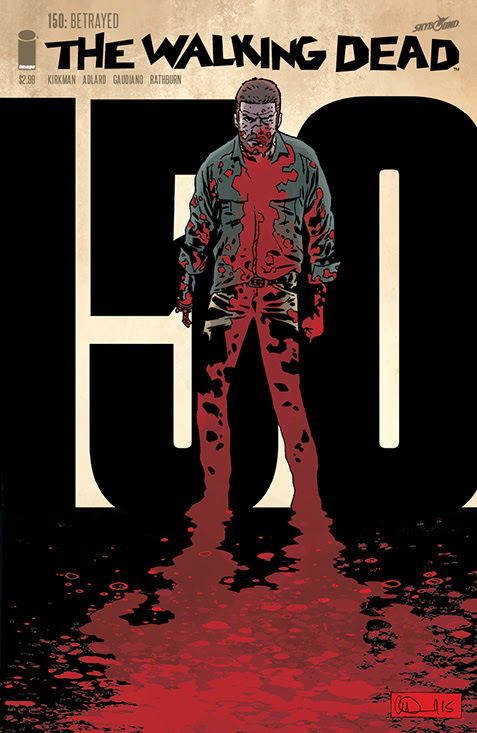 The Walking Dead #153 closes with one of the most ruthless and callous moments that we’ve seen in a long while, oh yeah, Negan is back, he’s as nasty as hell, and we wouldn’t want it any other way!